Prime Minister Saad Hariri of Lebanon resigned on Saturday, blaming Iran and Hezbollah for destabilizing the country. He warned that Iran’s “hands” in the region “will be cut off”. Hariri’s move was so sudden that it surprised even his own staff. It pointed to a Saudi escalation of its regional conflict with Iran, on the same day that Saudi Crown Prince Mohammad al-Salman consolidated his power with the arrests of 11 other princes, including one of the world’s richest men and philanthropists, Prince al-Waleed bin Talal. The step appeared to again throw the Lebanese Government, which has been close to paralysis in recent years, into disarray. Hezbollah and other members of the ruling coalition need a Sunni Muslim to serve as Prime Minister under the Constitution. Hariri’s appointment as Prime Minister in late 2016 was part of a compromise deal in which Michel Aoun, a political ally of Hezbollah, became President. The arrangement ended a 2 1/2-year political stalemate. “Iran’s arm…has managed to impose a fait accompli on Lebanon through the power of its weapons….They have built a state within a state. I say to Iran and its allies — you have lost in your efforts to meddle in the affairs of the Arab world. 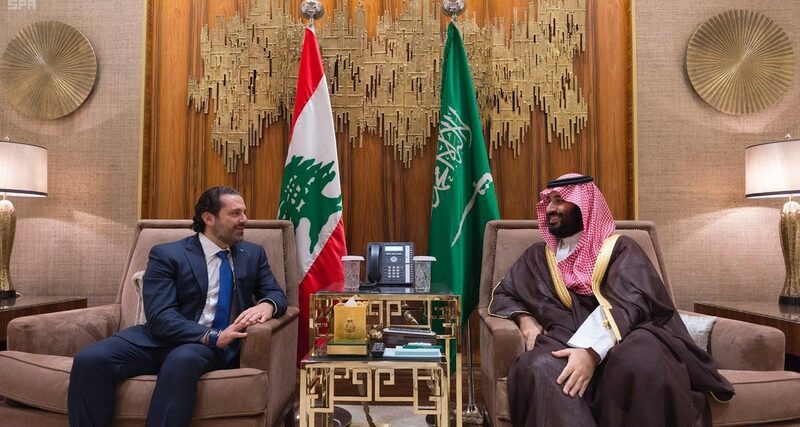 Hariri added to the tension by raising the prospect of his assassination, following the 2005 murder of his father Rafik — a former Prime Minister and a key actor in Lebanon’s revival after the 1975-1990 civil war — in a Beirut car bombing. Several Hezbollah members are being tried in absentia for the killing in a special UN-backed tribunal in The Hague, although the group has denied involvement. The resigning Lebanese Prime Minister’s repetition of the unrealistic and unfounded accusations of the Zionists, Saudis and Americans against Iran is an indication that this resignation is a new scenario for creating tension in Lebanon and the region. But we believe that the resistant people of Lebanon will pass this stage easily. Israel Prime Minister Benjamin Netanyahu countered that the resignation was “a wake-up call for the international community to take action against the Iranian aggression”. Marches have been held in Tehran and across Iran to mark the 38th anniversary of the takeover of the US Embassy after the 1979 Islamic Revolution. American politicians and people are having second thoughts about their choice of president and acknowledge that the US has been defeated in materializing its foreign policy. The US has long been dealt blows by our country and our region and thus regularly bares its warmongering teeth. And when a missile is tested thousands of km away, after threats, all their President does is put out a tweet.